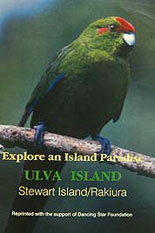 Ulva Island is an open sanctuary of international biodiversity importance. 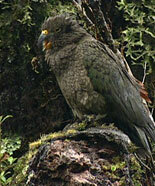 It hosts such rare plants in the wild as Gunnera hamiltonii, Euphorbia glauca, and native birds such as Brown Creeper (Pipipi, Mohoua ochrocephala), Rifleman (Titi pounamu, Acanthisitta chloris chlori), Stewart Island Brown Kiwi (Tokoeka, Apteryx australis lawryi) and Yellowhead (Mohua, Mohoua achrocephala). 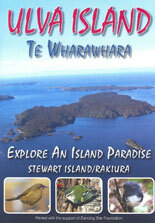 Ulva Island is one of only two scientific reserves in all of New Zealand open to the public (the other being Tiritiri Matangi near Auckland). Dancing Star Foundation was pleased to be able to twice support re-publication of the important guide to Ulva Island, written and produced by the Ulva Island Charitable Trust. See also, Anne Rimmer, Titritiri Matangi: A Model Of Conservation, Tandem Press, 2004.